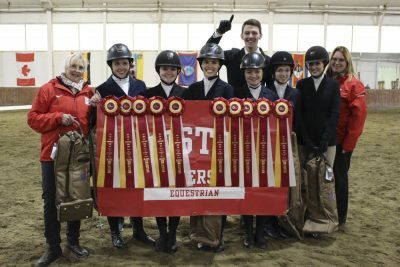 Boston University’s Equestrian Team has qualified for nationals for the first time in 20 years. Following an impressive season, the team will compete in the Intercollegiate Horse Shows Association’s national championships in Pennsylvania in May. The team finished the regular season as the runner-up of Zone 1, a region which includes a variety of schools from around New England. Last weekend, regionals took place at Mount Holyoke College. Hannah Campbell, a senior in the College of Arts and Sciences and a member of the team, wrote that it was an especially competitive environment. Riders represented BU in five divisions. At the end of the day, Rakip said, not only did BUET qualify for nationals, but they finished second overall in points, finishing behind only Mount Holyoke. While BUET did qualify for the Zone Finals Collegiate Cup in 2001 and 2017, their last appearance at nationals was 20 years ago. And though equestrian is an individual sport, the members of BUET acknowledged that they did not make it this far by themselves. Rakip said the team plans on giving its competition at nationals “a run for their money,” as members have been working tirelessly throughout the season to put themselves in the position they are in now. BUET has faced tough competition this season, and there is more to come, but Rakip said the team’s greatest obstacle might be balancing being a student with being an equestrian. But the team is feeling good after a successful weekend, and as they prepare for nationals, spirits are high. While members of the team know the competition will be fierce, athletes on the BUET said they are certain they will represent BU well. Congrats to the team and their coaches. Advancing to Nationals in college equestrian is VERY difficult and you’ve made a lot of people very proud! 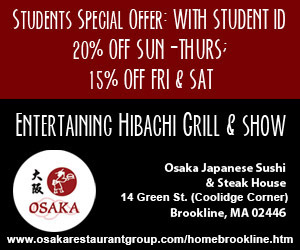 Congratulations and wishing you the best of luck in the Nationals! The team and coaches have all worked so hard, great job!